We are the longest-operating company producing airsoft parts on the Czech market. During that time we have developed a lot of interesting technical solutions. Next of them is brand new chamber for M4 series. 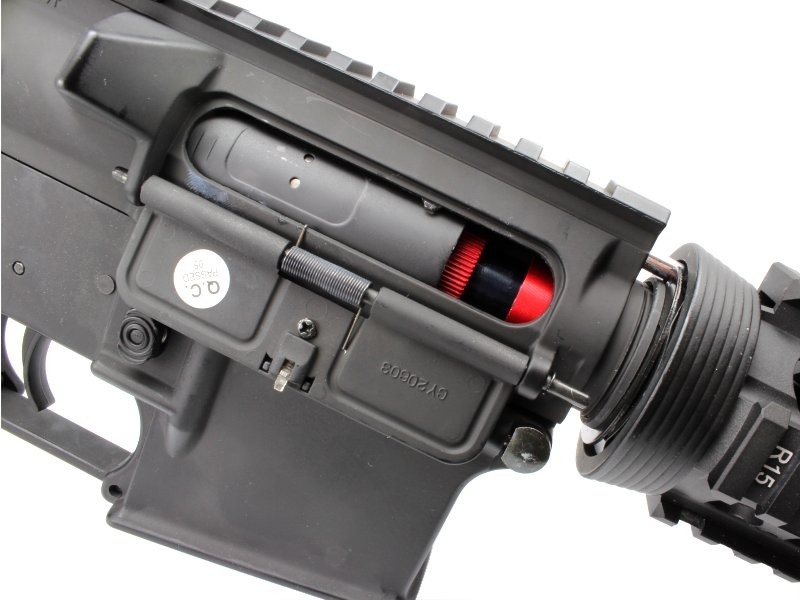 Quality chamber is an important for a stable and good performance of an AEG. Only metal machined chambers provide the highest precision and the best sealing. This is a genuine solution, which combine HopUp chamber function and gearbox anti-brake device: MBLOCK®. 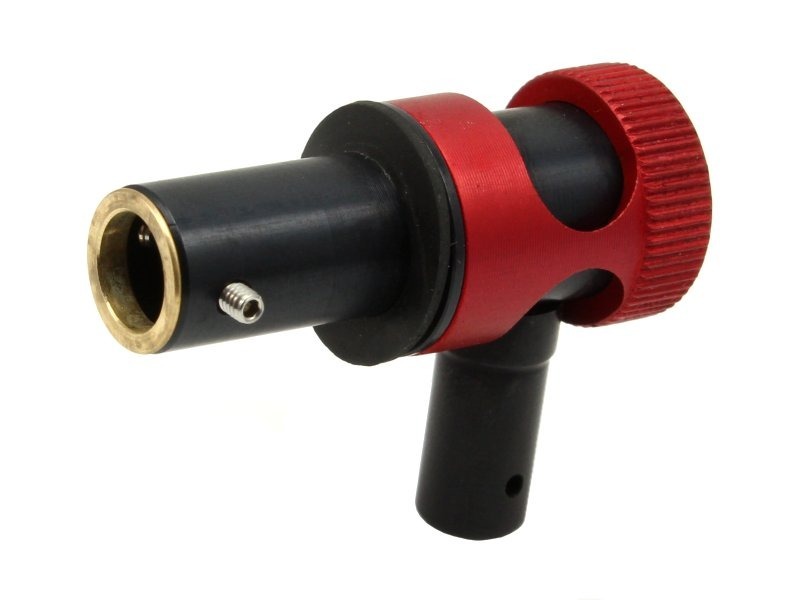 Entire unit is made of an aluminum alloy with anodized finish. This is not a re-brand, a repackaging of a product from another manufacturer. The chamber was built in the Czech Republic on the precision CNC machines. Offered chamber has ambitions to reduce risk of gearbox break, or minimalize the consequences of this fatal defect. 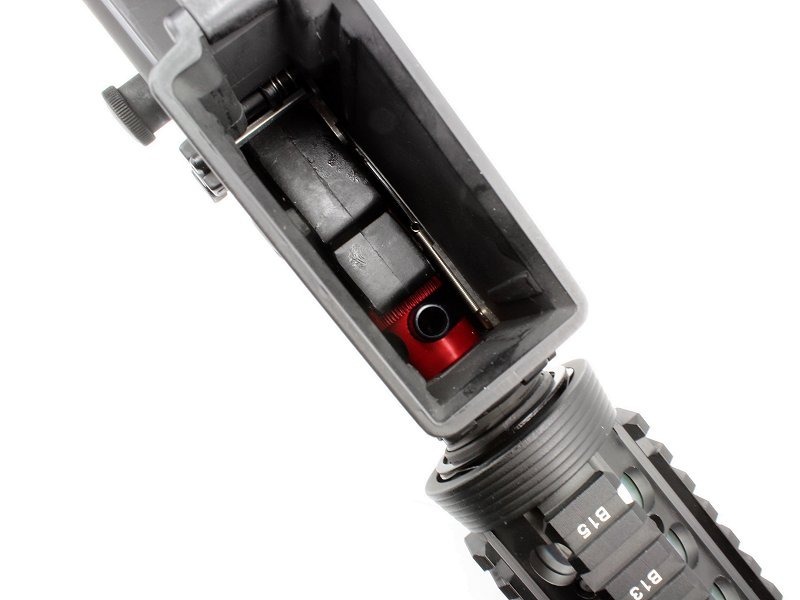 It is designed to fill the space between the gearbox and outer barrel. 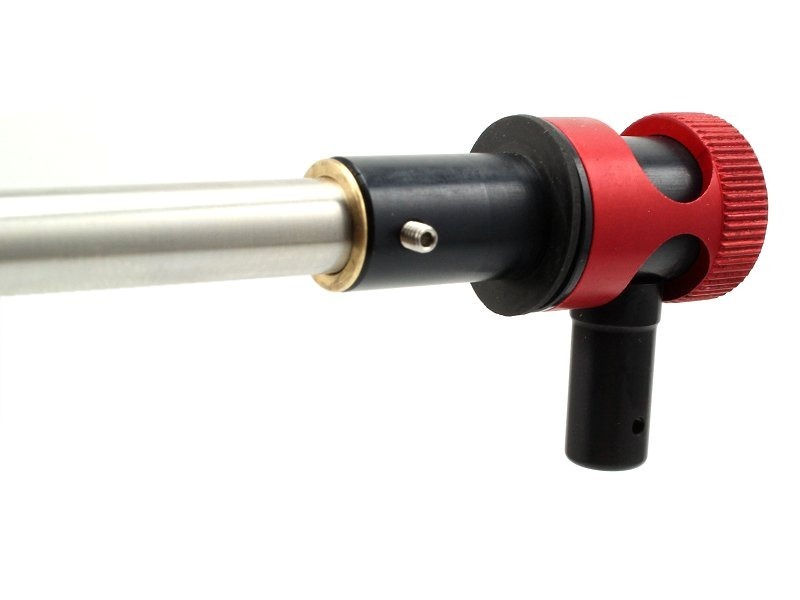 Vibrations are transmitted into the chamber, then the rubber seal and to the outer barrel. 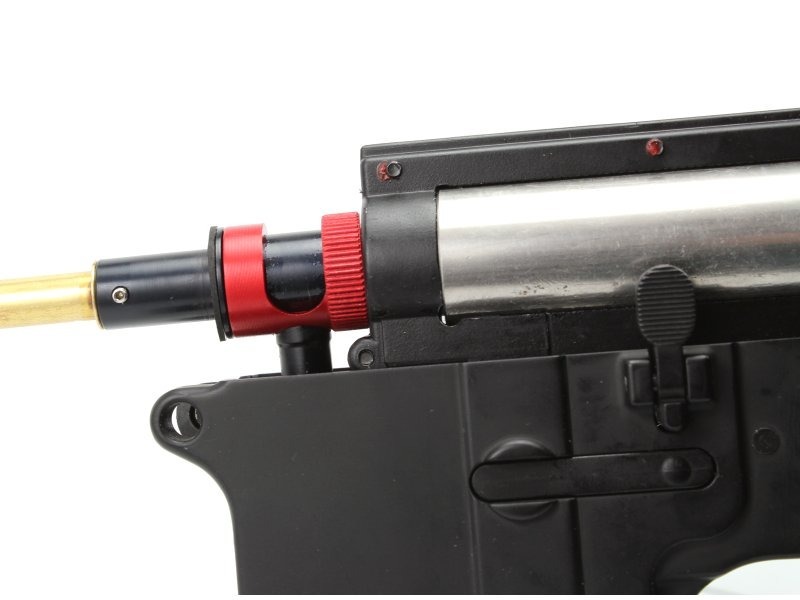 It is required to loose a barrel with the delate ring. Insert chamber and then fasten barrel and delat ring back. 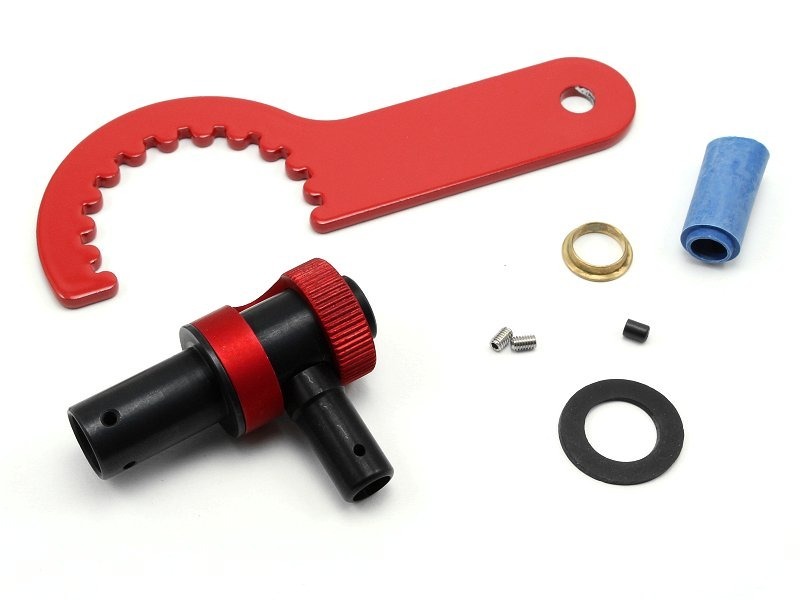 Delta ring key is included in the product packing. This assembly method proof perfect chamber fit without a wooble and space. Watch the videos for the clear view. Exact production on CNC machines. The unique design of the Czech manufacturer. The combination of chambers and and gearbox anti-brake device. Sensitive control rotating metal ring. 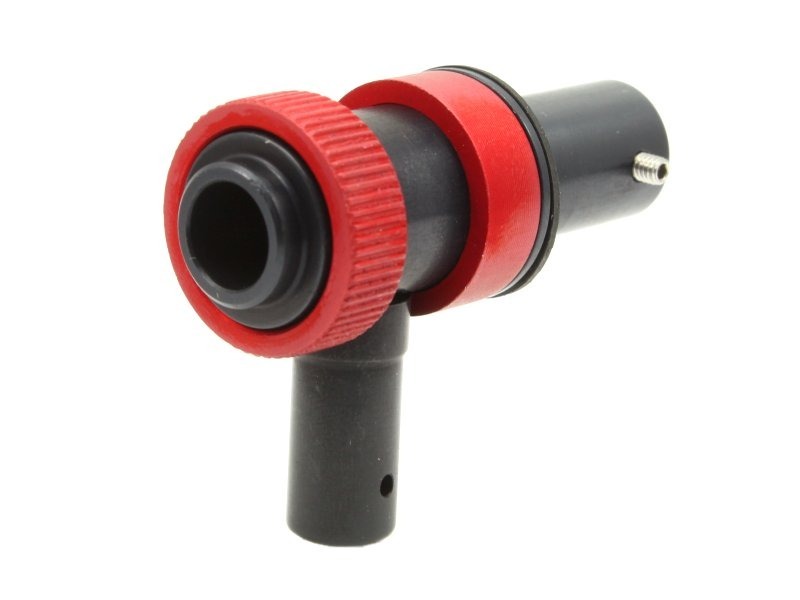 Resistant body with quality anodized finish. 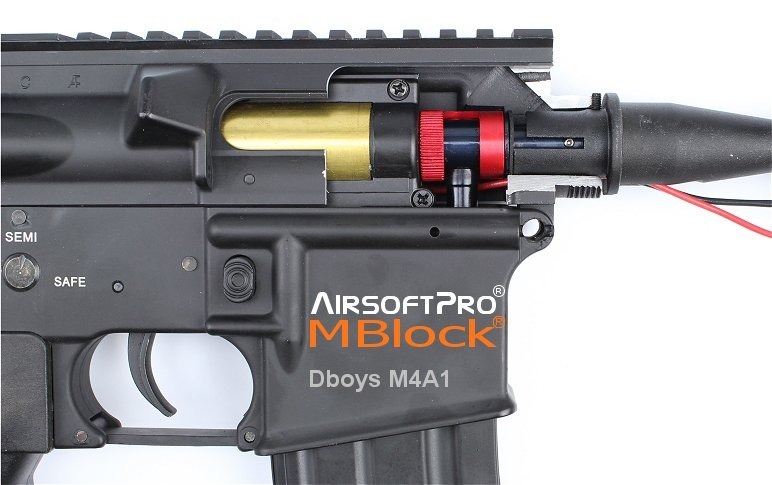 Chamber was tested on M4/M16 series: Dboys, APS, CYMA, G&P, A&K, P&J. But we expect this fit into other brands. We will be glad if you inform us about your experiences, where you can or can not install this chamber. Not fit in ICS brand. MBLOCK™ (Mechbox Block) is a registered trade mark for our garbox reinforcement mechanism.